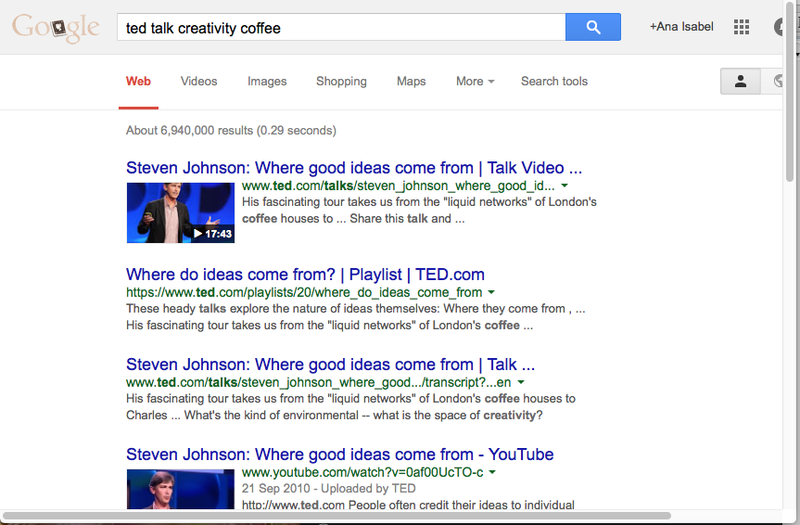 Somebody told me about a very interesting TED talk on creativity. I was very intrigued, and decided to search for it when I got home. The person that mentioned the talk, said that the speaker discussed how starting to drink coffee (instead of beer) had had such a positive impact on creativity: people were lucid and energised for one; and they started meeting in coffee houses, which were great environments for exchanging ideas. That was all I knew about this talk. I thought that this was a curious example of how being very close to a product may actually make it more difficult to sell it to a customer. TED knows all about product features like the title of the talk (where good ideas come from), the speaker (Steven Johnson), the topic (innovation)… and probably organised the information according to those clues. Google, on the other hand, seems to have considered how the ‘customer’ would search for this product: i.e., the interesting or recognisable aspects about the talk that people might remember or mention to each other. I am going to save this example for my classes, about the need to think like a customer, not as a product expert. On a different note, do check the video. It is very interesting. 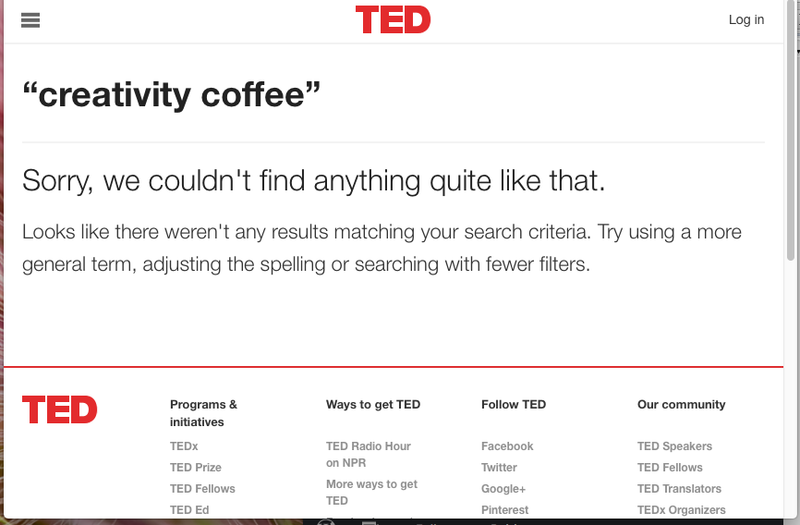 Posted on May 4, 2015 May 3, 2015 by anacanhotoPosted in Marketing in everyday lifeTagged categorisation, coffee, Creativity, Customer Data, Information search, TED, think like a customer, Video.